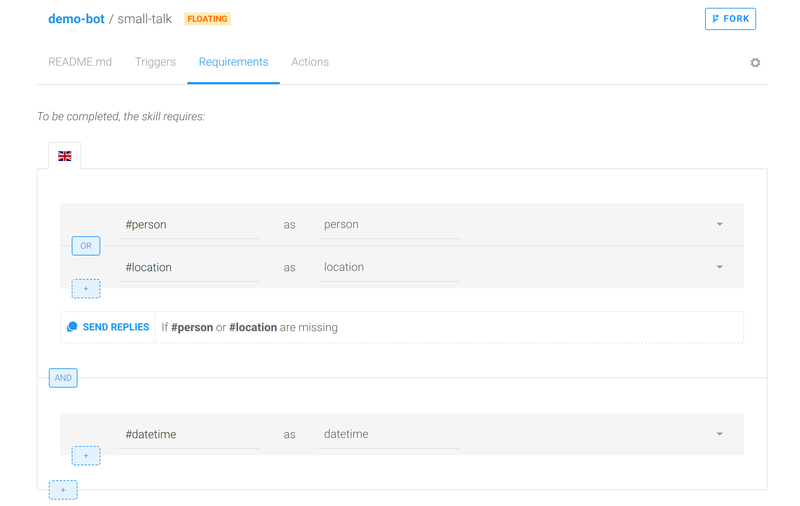 To find the predefined skills that you selected when creating your bot, click the BUILD tab. The gray panel on the left is your command panel. It allows you to add new skills. To explain what your skill does, which APIs it calls (if any), or even link a Git repository if your skill requires code, click the skill. A README.md opens, where you can enter this information. Check that a #location entity has been detected, and that its value is, for example, San Francisco, Paris, or Singapore. You can create up to two levels of conditions, and switch between an AND and an OR condition. An AND condition is true if every element of the condition is true, whereas an OR condition is true if at least one of its elements is true. A requirement is a piece of information that your bot needs to have detected and saved in its memory before continuing the conversation. This section is executed once the triggers have been executed. You can require entities and intents. The second half of the requirement, after the as, is the alias of your requirement. It is under this name that you’ll find it in your bot’s memory. To define how your bot asks for and then validates the requirement, click the arrow at the right end of the requirement. A settings panel opens. 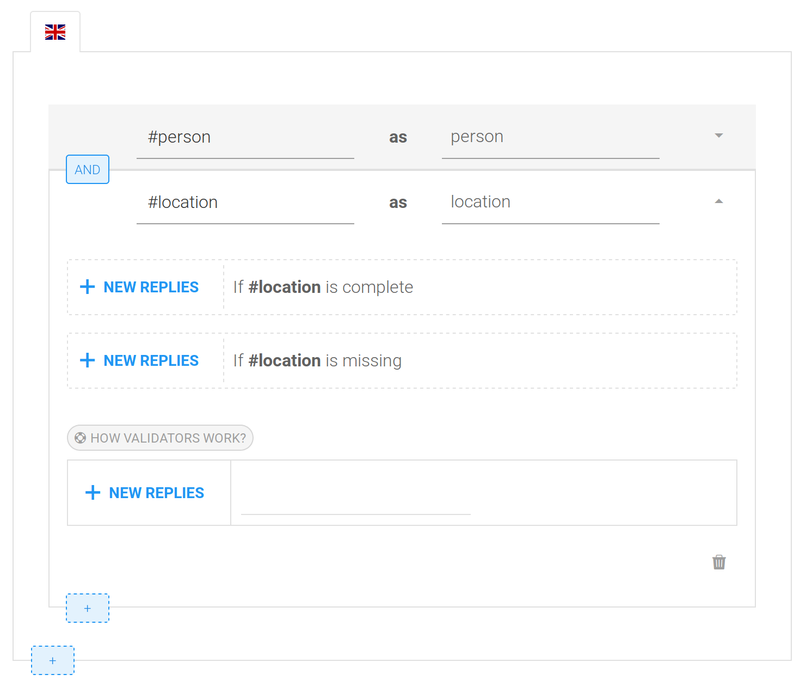 If the requirement is missing (for example, If #location is missing), click the adjacent + NEW REPLIES to define the actions that you want your bot to execute. You can send a message, call a webhook, or update the conversation, for example, by going to another skill.